Before I get into the review I have to start off by talking about the appearance of these brushes. I mean LOOK AT THEM! Tell me a more perfect colour combination than copper, white and pink. I'll wait. They're so sleek and comfortable to hold too, and oh so Instagram worthy. I love the whole branding and theme they have going too, down to the wording on the back of the packaging, and the cool vibe of their website. I believe they're originally an Australian company, (but don't hold me to that). 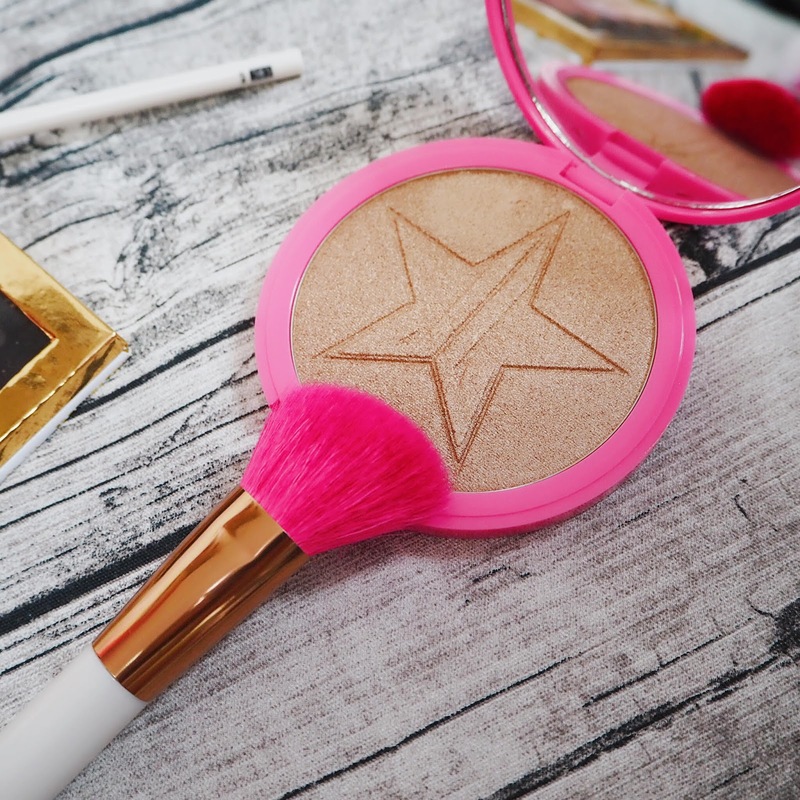 They're really big on social media too, which I think is really important for beauty brands; and you can check out their Instagram and Facebook here. 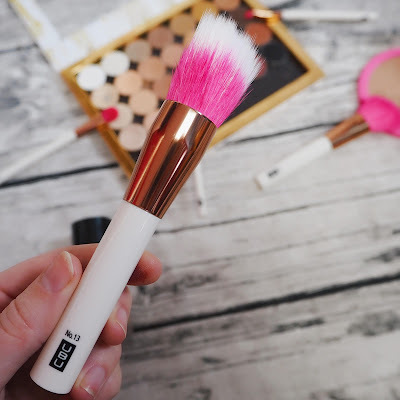 They have a mixture of synthetic and natural brushes, of which I definitely preferred the former, as they just seemed to apply product more effectively and evenly, plus they are more ethical too. I was sent the Smoke Screens set, which contained three small eye brushes (No 35, 36 & 31); the Picture Perfect brush (No 13) and the Berry Blush brush (No 11). The Smoke Screens set was by far the star of the show for me. It's actually the only product I managed to get a photo of in it's packaging - I was just too eager and excited to try them out, my bad! The big fluffy eye brush, (no 35) was amazing at sweeping shadows over the eye evenly. It is a little on the large side so do bare that in mind if you don't want to work those shadows into the crease too, but I was really pleasantly surprised by how well this picked up and deposited even my most chunky, shimmery shades. All three brushes are 100% nylon so when I cleaned them in between uses, they dried hella quick too, which is a plus in my book. The middle brush in the set (no 36) is a really short, densely packed brush that is perfect for highlighting your inner corner with, I used this with Coloured Raine's Clutch Pearls and loved how precise it was. It's also great for the edgy, smudged-out liner look that was on a lot of catwalks at Fashion Week this spring. (You know, that "oh I slept in yesterday's eye makeup cause I'm so Rock and Roll" look.) Finally the angled detailer brush (no 31) was a bit too flimsy for applying gel liner in my opinion - but that might just be down to how old and hard my gel pot was! It does however work really well as a brow brush! It worked perfectly with powder or my Anastasia Dipbrow Pomade to fill out my brows nice and naturally. I'm not much of a blush wearer so I was worried I wasn't going to find much use for the Berry Blush brush but it's actually the perfect shape to apply highlight or contour. I recently bought this Jeffree Star Skin Frost in Siberian Gold and up till now have been finding it quite tough to work with and get an even application of, but this brush definitely does the trick! UBU to the rescue! I did lose one hair from this brush, but apart from that, I've not noticed any shedding at all. Last up is the Picture Perfect stippling brush, it's duo-fibre and was probably my least favourite brush, (not that I disliked it) it just didn't impress me as much as the others! In my opinion stippling brushes need to be really dense and slightly more stiff so that they effectively work foundation into the face. This one gave me a nice even application of my Giorgio Armani Luminous Silk foundation, but I found myself using up a LOT more product than I would with my Sonia Kashuk Stippling Kabuki, to achieve the same finish. I think I'm going to order their Cheeky Street brush (no 22) as it's more densely packed and synthetic so I'll keep you posted! The Urban Beauty United brush collection ranges from £6 to £16, with the Smoke Screens set retailing at £8 which I think is an absolute bargain for three fab nylon brushes. They're available in store at Asda and Tesco and you can also buy them directly from QVS on Amazon. Like I said overall I'm really impressed with the quality of the brushes for the price point and would definitely recommend them! I'll be picking up a few more of the eye brushes without a doubt! 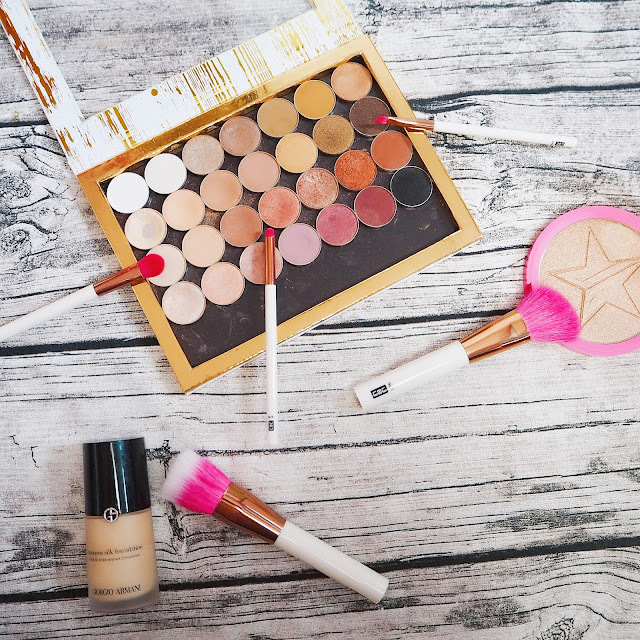 If you want to know details as to which other brushes in their range are natural or synthetic, the UBU website has loads of factual information. As always I hope you enjoyed this post, and I'd love to know what makeup brushes you're loving at the moment! These are SO pretty and sound so good for the price. I love finding good and affordable brushes! I'd be tempted to buy these purely for the Instagram-worthiness!! They're so pretty. I usually just use Primark brushes because they're so cheap and I don't need anything too fancy - I'm very boring with makeup. Based on your review, I'd definitely think about buying these if I saw them in a shop. 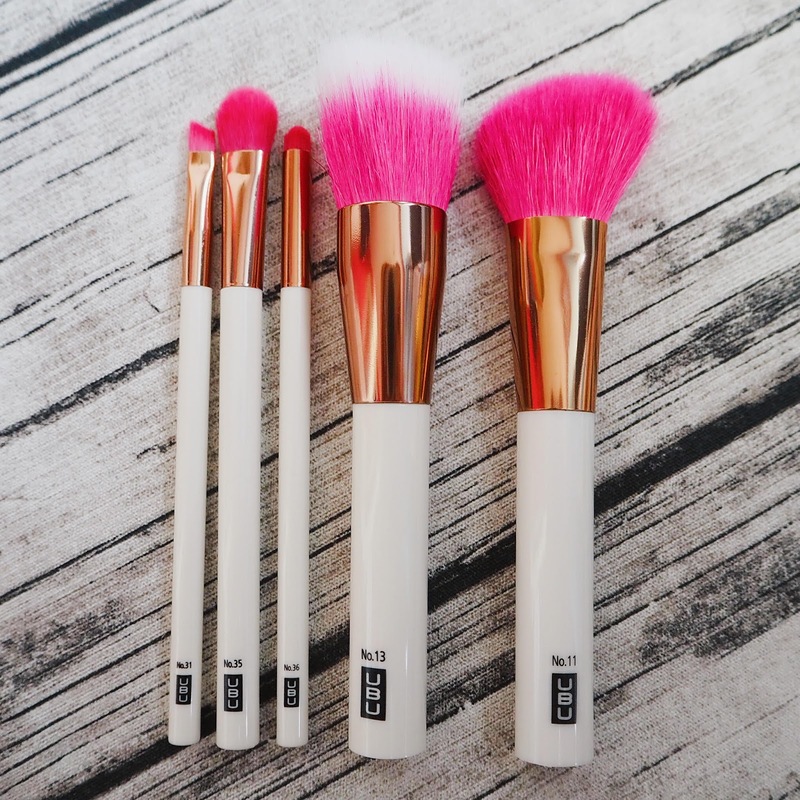 Hand delivered by unicorns did make me giggle hehe 😉🦄 These brushes are BEAUTIFUL, so much so that I wouldn't want to get makeup on them and spoil them hehe! The prices are super reasonable as well, and for brushes of this quality, I'd happily pay more! Thanks so much for sharing your opinions and these gorgeous photos! Unpopular opinion here but I'm not sure I like these colours together! Don't come for me, hahaha. They seem fab though, especially for the price point! I've seen them before in my local Asda. These brushes are reallllly pretty! Do you know if they're cruelty free at all? 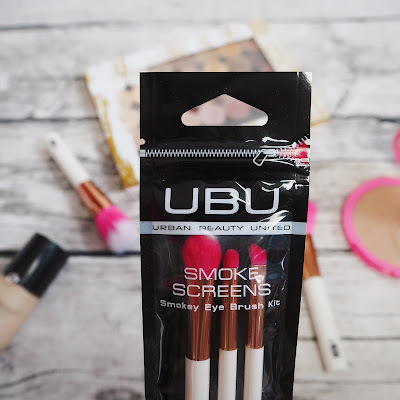 I love UBU brushes and how affordable they are! They are perfect for blending! I recently picked some more up whilst I was in asda! I am actually starting to prefer some of the eyeshadow ones to my Zoeva ones!